Distinctive abstract works by the renowned artist from Guyana. This insightful exhibition displays a selection of previously unseen works. Williams concerned himself with ecology and environmental issues, themes which are still relevant today. October Gallery, London, will present an exhibition by Aubrey Williams, introducing works previously unseen. Aubrey Williams' distinctive contribution to 20th century British art as a master of painterly abstraction is increasingly recognized; a contemporary of Alan Davie and Peter Lanyon, Williams’ work invites productive comparison but has yet to receive comparable attention. Arriving in London in 1952, ostensibly for further studies in agriculture, Williams soon enrolled at St. Martin’s School of Art. Meanwhile he travelled widely in Europe so as to examine the core works of Western modernist painting. 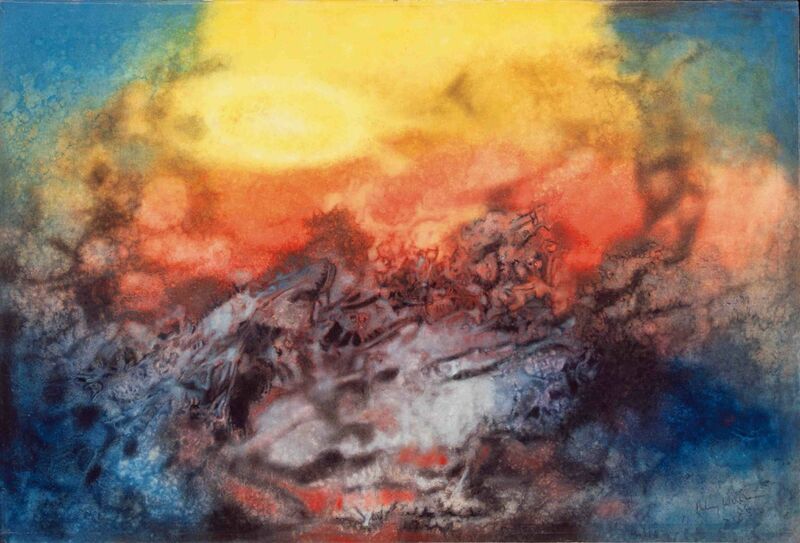 Two exhibitions from the USA in London during the 1950s viewed by Williams, introduced him to Abstract Impressionism. 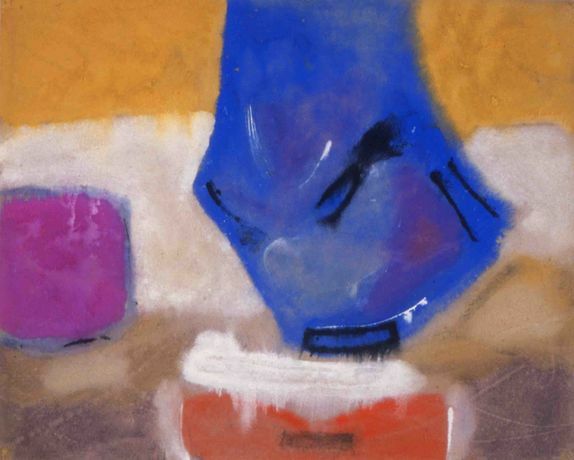 In the paintings of Arshile Gorky, Jackson Pollock, and Mark Rothko he saw novel strategies of scale, technique and colour that he inscribed into his own richly allusive abstractions. From the early 1960s, Williams exhibited widely, winning awards and garnering high acclaim from a London art circuit impressed by what Guy Brett has called 'the heady interface between artistic innovation and trans-nationalism'. Williams was an integral part of the explosion of creativity and optimism amongst Caribbean writers, artists and intellectuals in London at the time. 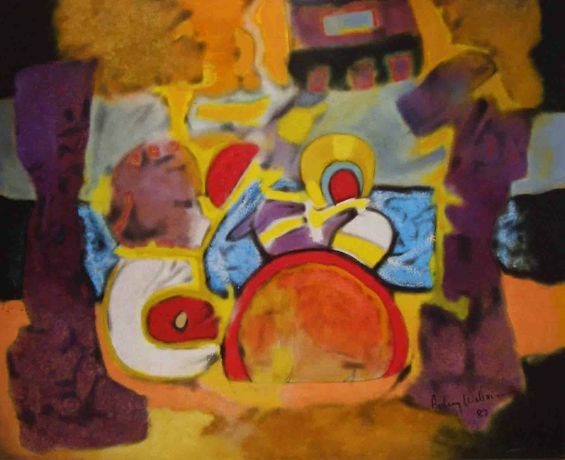 This cultural ferment was exemplified in the Caribbean Artists Movement (CAM), established in 1966. Williams was a founder member of CAM and participated fully in its activities. During the 1980s, in an astonishing and sustained burst of renewed creativity, Williams made three series of large paintings which are now regarded as his supreme, defining achievement. In the Shostakovich series, 30 paintings express his passionate engagement with the Russian composer’s symphonies and string quartets. In The Olmec-Maya and Now series, prompted by Williams’ increasing environmental concerns, he broke new ground. 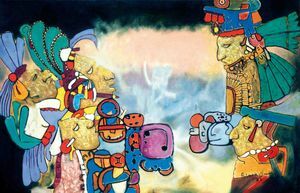 Drawing on his deep knowledge of Pre-Columbian cultures of Mesoamerica, he unexpectedly merges representational elements with painterly abstractions. Williams’ Cosmos series reflects his lifelong absorption in astronomy. He worked figuratively throughout his life: in portraits, landscapes and, especially, well-researched depictions of endangered tropical birds. In the 25 years since Aubrey Williams’ death (1990), his work has been exhibited in a wide range of contexts and institutions, in addition to important solo exhibitions. The Whitechapel Art Gallery’s major retrospective, in 1998, was followed by a room display and accompanying Study Day at Tate Britain in 2007 and then more significant exhibitions in Liverpool and London in 2010. Further acquisitions of paintings by Tate, and material for its Archive, have enabled ever-growing recognition of Williams’ unique place in British art history. In April 2014, a symposium on his work was held at Cambridge University. This reaffirmed Williams’ position as an exceptional visionary whose work foreshadowed ecological fears which become ever more urgent. Aubrey Williams’ work will be displayed within Tate Britain’s new exhibition Artist and Empire, which will open from the 25th of November 2015. This exhibition will be the first major presentation of the art associated with the British Empire from the sixteenth century to the present day.